Approximately one year after public meetings were first conducted on the project, work is set to begin on improvements to Bentree Lane from West Palmetto Street to David McLeod Boulevard – one of several Florence County road projects set to start in the near future. Bentree Lane – which combines with Dozier Boulevard and Holly Circle to link Hoffmeyer Road, David McLeod Boulevard, West Palmetto Street and Second Loop Road – is set for additional turn lanes and improvements to its intersections at either end. This project is funded through the Florence County Transportation Committee and the city of Florence, said Robert Kudelka, SCDOT spokesman, through an email sent out on the project. The project encompasses the road’s intersections with David McLeod Boulevard and West Palmetto Streets and includes improvements to Dozier Boulevard from the intersection to Trade Court. The purpose of the project is to improve operational efficiency for pedestrian and vehicle traffic, according to a post on the SCDOT website about the project. Additionally, the project will increase safety at each intersection with Bentree Lane. In 2016, 27,000 vehicles per day traveled through the area on David McLeod Boulevard while 19,400 a day passed on West Palmetto Street, according to SCDOT traffic counts. No figure was available for Bentree Lane. Those numbers have held close to that since 2009. Elsewhere in Florence County, large paving and surface rehabilitation projects are about to begin. The longest projects will bisect Florence County both east to west and north to south. U.S. 76 – Palmetto Street through Florence – is set for construction from the Marion County line to just past the Interstate 95 interchange. U.S. 52 is set for construction from the Darlington County line to Cades in Williamsburg County, according to a SCDOT project website. Interstate 95 is set to be paved from Hoffmeyer Road to the county line. Interstate 95 from the North Carolina line to northern Florence County. Interstate 20 through most of Darlington and Lee Counties. U.S. 301/S.C. 327/Williston Road/Freedom Boulevard is set to be paved from Old Marion Highway to the bridge over Jeffries Creek. Third Loop Road will be paved from South Irby Street to Bellevue Drive. Church Street from National Cemetery Road to Pamplico Highway. Francis Marion Road from Francis Marion University to National Cemetery Road. Pineland Avenue from Cherokee Road to South Cashua Drive. West Old No. 4 Highway from U.S. 52 to McAllister Mill Road. Salem Road/West Old No. 4 Highway to Bethel Road. Old Creek Road from West Old No. 4 Highway to U.S. 301. U.S. 378 from North Church Street west to the Clarendon County line. U.S. 378 from Old River Road to the Great Pee Dee River. S.C. 41/51 will be paved from the railroad crossing to S.C. 341. Dennis Road from West Main Street to Cooktown Road. Hyman Road from S.C. 51 to Friendfield Road. U.S. 15 from U.S. 52 to North Marquis Highway. North Center Road from Old Camden Road to Indian Branch Road. Improvements for the U.S. 52/Alligator Road/Howe Springs Road intersection. 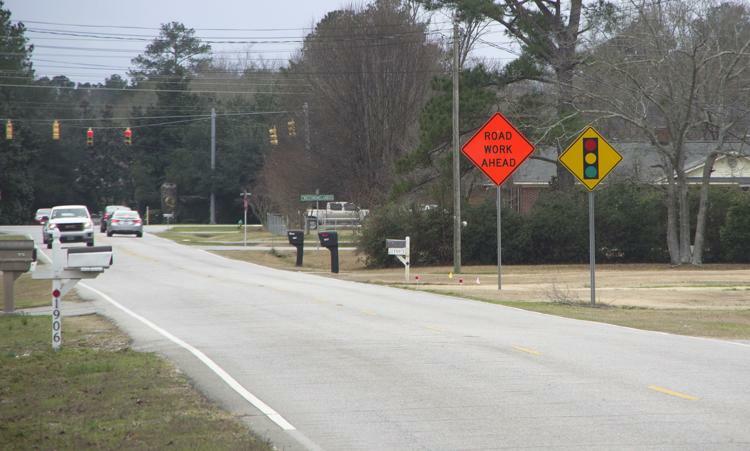 Improvements to the Francis Marion Road/Claussen Road/Old River Road intersection. Improvements to the Pisgah Road/North Ebenezer Road/Sumter Street intersection. Improvements to the U.S. 52/Wire Road intersection. Improvements to the U.S. 301/North Bethel Road intersection. Improvements to the U.S. 52/U.S. 401/Church Street intersection in Society Hill. Widen Alligator Road from two to three lanes from U.S. 76 to Knollwood Road and three to five lanes from Knollwood Road to Alligator Branch Bridge. Widen U.S. 76 to five lanes from Honda Way to I-95/Meadors Road. Work on scour protection for the Interstate 95 bridge over the Great Pee Dee River. Edisto Drive bridge replacement over Jeffries Creek. Ebenezer Road bridge replacement over High Hill Creek. U.S. 76 bridge replacement over the Lynches River at the Lee County line. A series of bridges along U.S. 401 north of Interstate 20 are set to be replaced. To read the article on SC Now, click here.